I love sitting down on a Sunday afternoon with a record playing, cuppa in hand and settling down with a book cosy on the sofa - so when Kate (from Etsy shop: Crafting Kates) got in touch about sending me 'A date with a book' I was super excited to do just that! 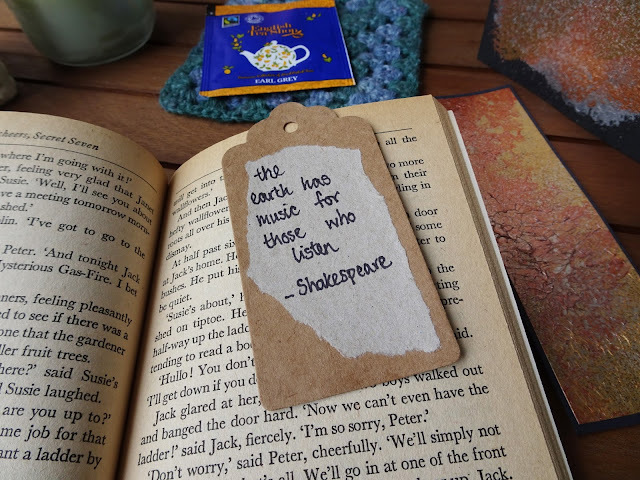 The idea behind this concept, is that you buy a mystery book (you can pick the genre if you are more fussy!) and it comes through the post wrapped ready for you to read. But that's not all. 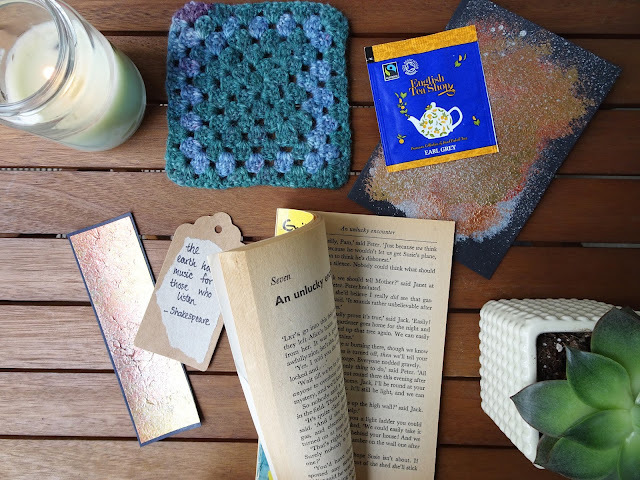 The package also comes with a crochet coaster, a tea bag and a handmade bookmark - all the things you need for a perfect book date. The book is vintage, so its guaranteed to be a great read, and the idea of the book being a mystery until it comes through the post is exciting for any book lover. I love to read, and don't mind what I read, so was nice to have a book I may not pick off the bookshelf in a shop. 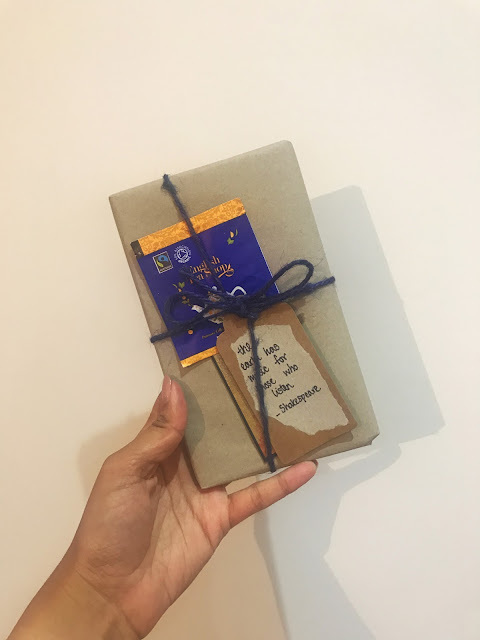 Perfect for a cosy afternoon or quiet night in, it would be perfect to send to your bookworm friends or a treat to yourself. 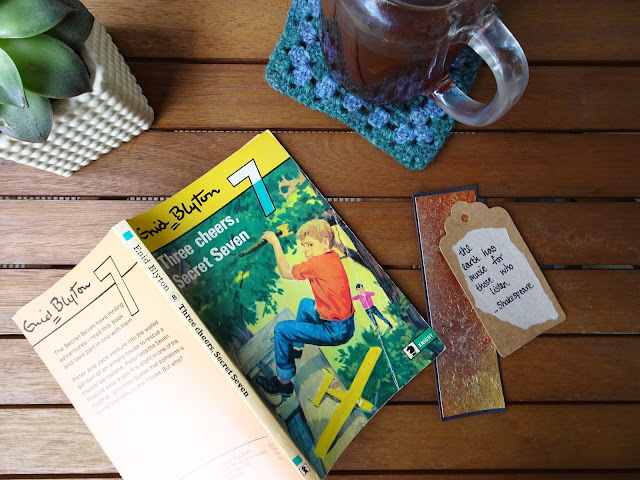 The book I was sent is 'Three Cheers, Secret Seven' by Enid Blyton. This is something I used to read when I was younger, so was lovely to re-live my childhood again, whilst enjoying a cup of tea! 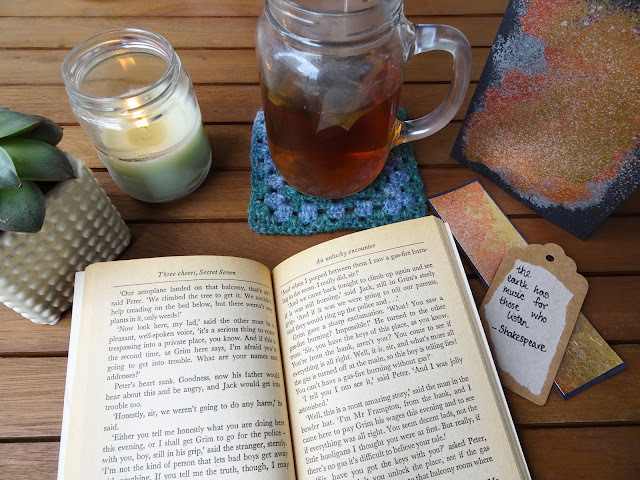 All books available are vintage, so you are sure to enjoy a classic. Ideal for getting back into reading or someone that wants something different to read, Date with a book is available to try out here. A really great idea for a gift or just a cosy night in.